Small load cell FMZK is an extremely low profile full bridge load cell intended for limited space applications requiring high accuracy weight measurement ranging from 0.5kg up to 10kg(5N~100N) with maximum 0.05% non-linearity.FMZK uses 1000ohms high resistance stain gauges which is better than commonly used 350ohms gauges in terms of power consumption and heat emission. 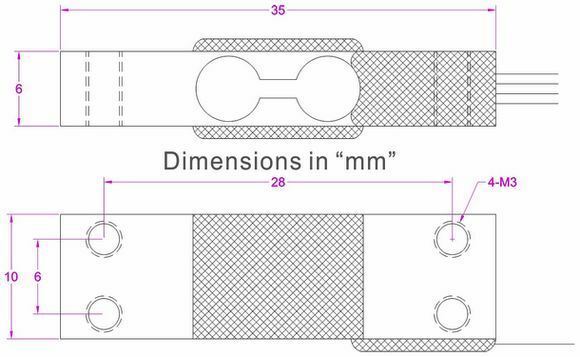 Small weight sensor FMZK is made of aluminum and weighs only about 5.3 grams thanks to its miniature size which makes it applicable for light-weight instruments to conduct the weighing mission,it is also suitable for weight measurement applications with limited mounting space or low budget. 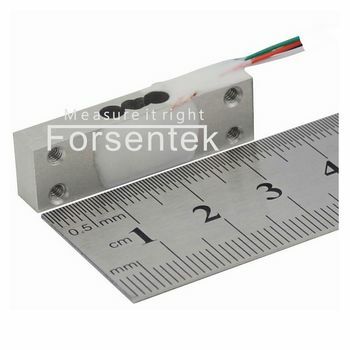 Miniature weight sensor FMZK is a perfect combination of compact size,high accuracy and inexpensive price.In addition to the offered size and rated capacities,Forsentek is also capable and willing to customize load cells according to customers’ specific requirements.